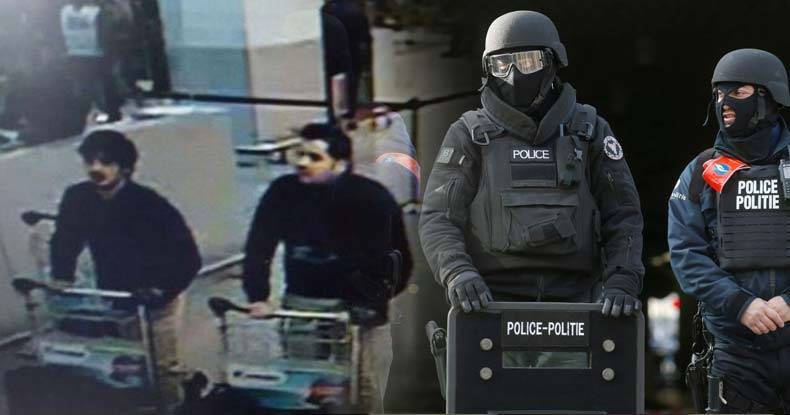 On Monday, ISIS members Ibrahim and Khalid El Bakraoui loaded up suitcases filled with explosives and detonated them inside Belgium’s Zaventem Aiport, killing dozens of people. An hour and twenty minutes after the airport blasts, another explosion was reported on a train that was stopped at the Maelbeek subway station, near the headquarters of the EU. The reason Michel and the rest of the Belgium top brass ‘feared’ this attack, according to Isreal’s oldest newspaper, is that they knew precisely where it would take place — yet they took no precautions to stop it. As soldiers walk the streets and families mourn their lost loved ones in Brussels, the question being asked now is — Could this attack have been stopped? According to the Israeli newspaper, Haaretz, the answer to that question is likely, yes. In their report, Haaretz claims that they were given information showing the Belgian security services, as well as other Western intelligence agencies, had advance and precise intelligence warnings regarding the terrorist attacks in Belgium on Tuesday. The attacks were apparently triggered by the capture of terrorist Salah Abdeslam, who was involved in both the preparation for the Paris attack and its implementation. Fearing that he would reveal information about ISIS plans to his captors, the terrorist group activated its cells and implemented the plan to bomb the airport and the train station. The testimony of the detained terrorist, alongside other intelligence information, part of which concerned ISIS operations in Syria, should have resulted in much more stringent security preparedness in crowded public places in Brussels, along with a heightened search for the cell, reports Haaretz. Apparently the intelligence agencies have knowledge of other future attacks as well that could occur in Belgium and other Western countries who’ve waged a war against ISIS in Syria. A massive manhunt is now underway as authorities try to locate the terrorist Najim Laachraoui, who built the explosive vests worn by the attackers and escaped from the airport at the last minute. The idea that Belgian authorities took no action in spite of precise knowledge of these attacks is chilling. The other ‘Western intelligence agencies’ who knew about the bombings are also culpable for their inaction as well. The town of Brussels is now a total police state as soldiers walk the streets, conducting door to door searches while the citizens are kept under close watch, and dozens are dead all because the government failed to act on information about a known attack. By allowing these attacks to happen, the governments of the West have justified decades of war, their bloated military budgets, and endless expansion of the police state. This is terrible news for the citizens of these countries, but music to the ears of the military industrial complex.